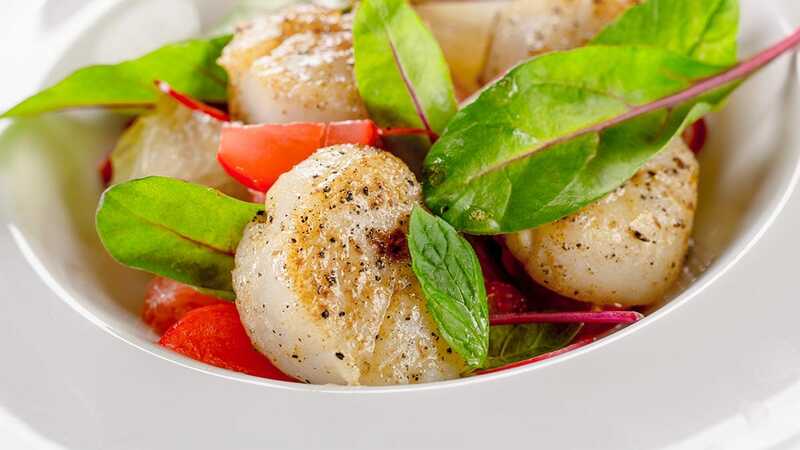 Sea scallops meet the Mexican flair of avocado salsa in this instant summertime classic. In a large bowl, combine the basil, lime juice, olive oil, onion, jalapeño and garlic. Gently mix in the avocados and season with salt and pepper. In a large skillet, heat the vegetable oil until shimmering. Season the scallops with salt and pepper and cook over high heat until browned outside but still rare in the center, about 2 minutes per side. Transfer to platter. Add water and tomatoes to the skillet and cook over moderately high heat, scraping up any browned bits, until reduced to 2 tablespoons, about 2 minutes. Remove from the heat. Stir in the balsamic vinegar and season with salt and pepper. 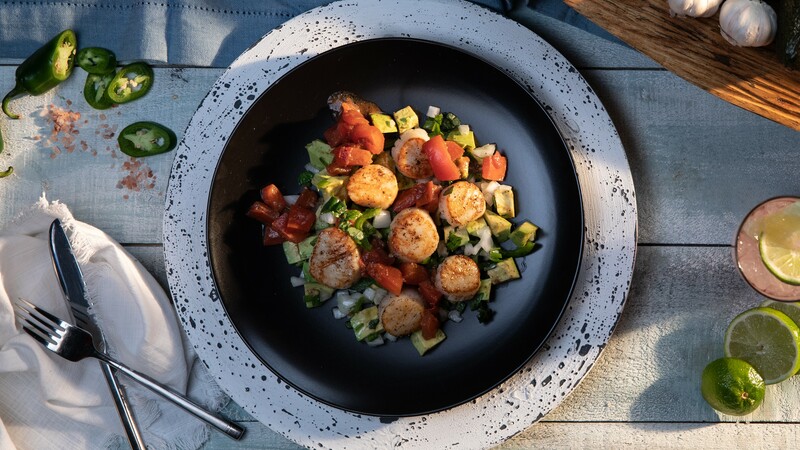 Pour the pan sauce over the scallops and serve the avocado salsa on the side.